"We also have no history of colonialism. 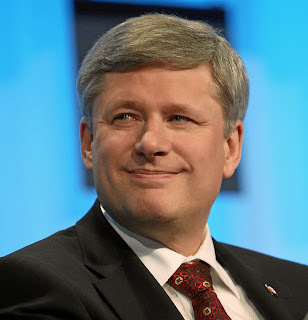 So we have all of the things that many people admire about the great powers but none of the things that threaten or bother them" – Stephen Harper, Prime Minister of Canada. Today, we recognize that this policy of assimilation was wrong, has caused great harm, and has no place in our country". There's a galaxy between the first quote and the second. But Harper's wrong in both quotes to frame colonisation as a historical event. Colonisation is a series of events. Harper should know, but the state and its agents never admit how they came to occupy their privileged positions. Canada's economy was was built off of the back of the theft of indigenous lands. But admitting that would be to deny Canadian exceptionalism. It’s better to practice the politics of amnesia. "Our objective is to continue until there is not a single Indian in Canada that has not been absorbed into the body politic and there is no Indian question". Scott is describing colonialism as a strategy. Like Harper explains, assimilation ideologies are about removing and isolating indigenous people from their culture. But that leaves some aspects unexplained. In short, the logic of colonialism is this: occupy indigenous land, subjugate indigenous people and exploit their labour and resources. In 1583 Sir Humphrey Gilbert declared Newfoundland the first English colony. 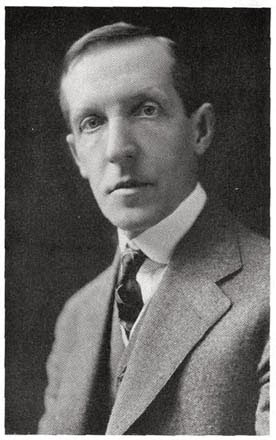 Gilbert claimed to act under the royal prerogative. That act marked the first stanza in Europe’s colonisation of Canada. Successive waves of English, French and other European colonists pushed west. Occupation begun. But the country wasn’t terra nullius. Where indigenous people were met, they were pacified. First Nations people were never conquered in the sense of, say, raupatu. The preferred method was treating. The government derived its authority from Treaties signed with First Nations people. The core promise was equality. But (as we know) the Crown only recognises its own sovereignty. Subjugation begun. The government wasted no time in acquiring an economic base. In 1876 the Indian Act was passed and worked to dispossess indigenous people of their land and resources. The roots of economic exploitation took hold. The parallels with New Zealand colonists, the Treaty of Waitangi and the Native Lands Act 1862 are obvious and uncomfortable. And the pattern continues. In 2012 the Idle No More movement erupted. The movement appeared in response to Bill C-45, an omnibus bill that didn’t recognise indigenous fishing rights and reduced environmental protection. The movement also opposed a suite of other omnibus bills including the First Nations Private Property Ownership Act and the First Nations Financial Transparency Act. The first act allowed private property ownership within Reserve boundaries. The second act imposed standards on First Nations governments that far exceed standards for municipal, provincial and federal officials. Underlying it all is the assimilation of First Nations people and the destruction of their culture. The newest expression of the colonial state is the suppression of the Elsipogtog. The Royal Canadian Mounted Police (including snipers) are engaged in repressing protests against seismic testing (a precursor to fracking operations). Harper knows that the "Indian problem" is only resolved through assimilation into the "body politic" or total exclusion. There's no middle ground. As Maori, we should play an active part in opposing colonial tactics. Why? Because it's own experience too. Colonialism isn't a historic event - it's an ongoing process. It's about being a good ally. If Harper succeeds in eliminating “the Indian question”, then maybe he can claim that Canada has no history of colonialism. History is written by the winners. Consider this: in 2012 the Waitangi Tribunal held that the government must provide "funding for property maintenance and upgrades to avoid the exposing 3,000 mokopuna to the possibility of losing their kohanga reo buildings". The head of Te Taura Whiri, Glenis Philip-Barbara, says that Kohanga are running "on the sniff of an oily rag". According to Native Affairs the number of kohanga have gone from over 800 at the movement's peak to a little over 400 today. And compare that against this: in 2011 Lynda Tawhiwhirangi purchased a wedding dress for her daughter and in 2012 she purchased a Trelise Cooper dress. Tawhiwhirangi also purchased "a 21st present for a woman who was in a relationship with one of [her] son's and had carried out work experience at the trust" Over a number of years withdrawals were made that included $1000 for a hui that wasn't attended. Native also revealed that "$129,000 [was] given out by the trust in koha... that wasn't receipted or tracked". All the while the whanau at the coal face went and are going without. This is a breach of trust and a breach of ethics. Public money demands a greater standard of care. In the last financial year the trust received $80m in taxpayer funding. The Prime Minister told Firstline that "this is taxpayers' money. It needs to be spent appropriately and if it's inappropriate behaviour then they'll have the book thrown at them." And he's in the right. Public money demands public accountability. 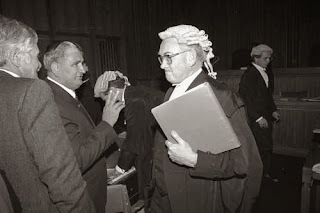 But the aspect that grates is that while Lynda Tawhiwhirangi and Dame Iritana Tawhiwhirangi were using their trust credit cards for excessive and luxurious spending - the whanau at the flaxroot were going without. There's also an element of hypocrisy: the kohanga themselves have to follow strict accounting practices, but the same doesn't seem to be expected of some trustees and directors. But to be fair most of the money was eventually paid back. Most. It's important not to lose sight of that in the heat. Dame Iritana is a titan of the movement too. A laspe of judgement can be forgiven. But is anyone else uncomfortable in that a pattern appears to have emerged? The crisis provides a useful case study in what not to do when the temperature is up. Don't take defamation proceedings. That turned the anticipation-dial hot and gave the story legs of its own. Don't go to ground. That means speculation will run rife. Apologise - the issue might be cooled. If not, resign. The media and the public need a get. But on a moral level, an honour code demands a resignation. I worry that if an independent investigation uncovers more inappropriate spending then that is an invitation for non-Maori to sort the issue. The solution will be (I imagine) greater integration with the Ministry of Education and early childhood education. I don't think that's the right approach. The trend is towards devolution (Whanau Ora, Charter Schools etc) rather than reintegration. An independent Maori organisation is better equipped to deal with Maori education. 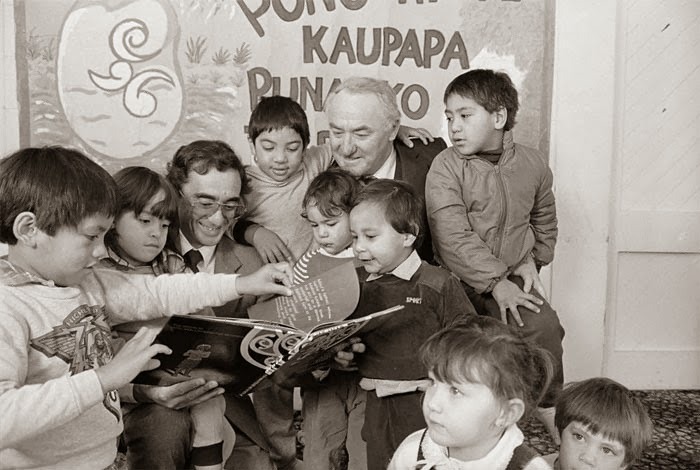 Centralised and state-led Maori education failed in the 20th century. But the New Public Management Model created the beast. Devolving public functions to a myriad of semi-private organisations was a mistake. Devolution is justified on efficiency grounds, but many aspects of public accountability are lost. The government can also wash its hands of responsibility. The trust isn't part of the core public service nor even the wider public service. The trust has to sort itself. If it doesn't, others will. The best way to sort itself out? Resign. Hold an election. The worst option is if the government is forced to intervene and break up the Kohanga board and remake the structure. There'll be all sorts of collateral damage in that possibility. The iwi power rankings: who are the most powerful iwi in 2013? Pita Sharples claims that the Maori economy is worth $37b. BERL calls the Maori economy a “sleeping giant”. Jamie Tuuta characterises the Maori economy as a “developing economy within a developed economy”. What does it all mean? It means that the Maori economy is a synonym for Maori power. The Maori economy can’t be separated from a discussion on iwi power. But power is more than that: it’s cultural, political and it might be esoteric. I’ve adopted a fluid definition. Iwi power is measured against three factors: cultural power, economic power and political power. Each ground is subjective – I might value profitability over asset value while another person might reverse that – but I’ve tried to apply each consideration consistently. That Ngai Tahu topped the rankings will surprise no one. In the year to June 30 2012 the tribe enjoyed a net profit of 95.7m. In the year to June 30 2013 the tribe declared a net profit of 77.9m. Ngai Tahu Holdings Corporation owns assets worth almost $1b. But Waikato-Tainui can claim similar numbers. Ngai Tahu emerged at the top on the strength of two factors: its stability and support for its members. Ngai Tahu isn’t burdened with cumbersome governance structures nor plagued with internal warfare. Parts of Ngai Tahu Holding’s profit will be spent on funding a superannuation scheme with 18,000 iwi members. Waikato-Tainui is behind the ball on these counts. But others made the list for different reasons. Ngati Porou only recently settled, but they exercise a disproportionate pull on Maori politics. The highest ranked Maori minister in Cabinet – Hekia Parata – is from Ngati Porou. 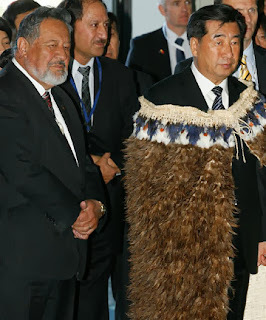 The highest ranked Maori minister in the last Cabinet – Parekura Horomia – was Ngati Porou. Some of Maori society’s most celebrated politicians – think of Ngata – were Ngati Porou. Te Arawa isn’t the wealthiest iwi, but Rotorua is the centre of Maori culture. Thousands of tourists pass through Mitai, Te Puia, Tamaki and Whakarewarewa. They experience a few aspects of Maori culture, but it’s Maori culture presented through Te Arawatanga. Don’t underestimate the power of that. 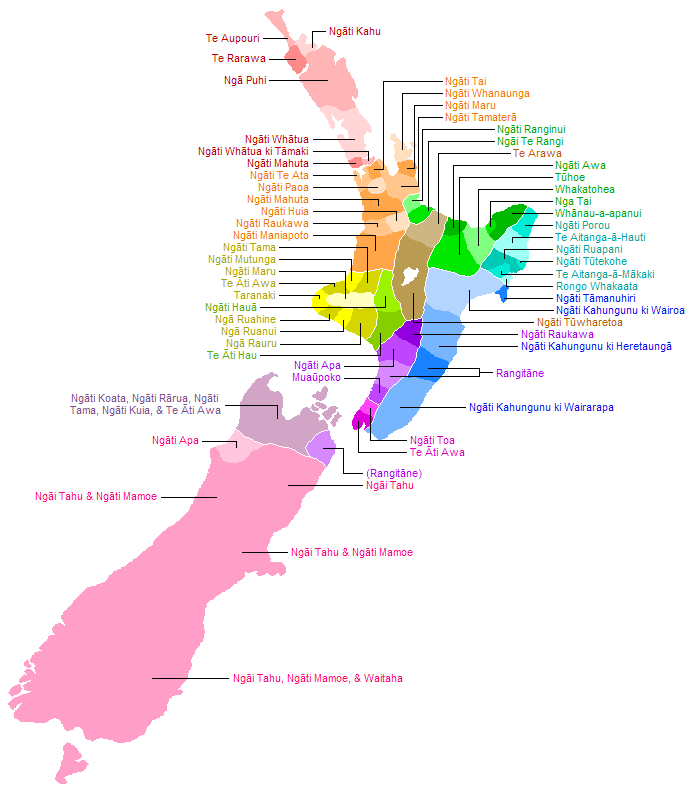 Nga Puhi is the largest iwi. 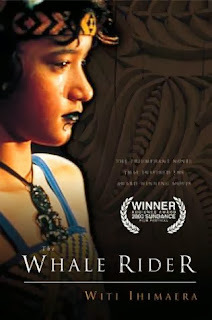 And here’s an interesting fact: the Maori mythology that’s presented in society often reflects Nga Puhi mythology. When Mataku - the drama series – dealt with Maori death the show used the Nga Puhi perspective that spirits depart from Te Rerenga Wairua. In Struggle Without End Ranginui Walker (despite being Whakatohea) uses Nga Puhi traditions to pin point the location of Hawaiki. Nga Puhi’s conception of the Maori world has a disproportionate influence on how we see ourselves and how others perceive us. One of the headlines of the year goes to the Christchurch Press for this effort: The Wisdom of (Mark) Solomon. Make that Sir Mark Solomon. Ngai Tahu sits on the Land and Water Forum. The Christchurch Earthquake Recovery Authority is obligated to consult local and regional council and Ngai Tahu. The government is also paying out what’s owed under Ngai Tahu’s relativity clause. Solomon has been critical in each respect. Ngai Tahu is strategic. It helps having the capital and labour (in the form of young Ngai Tahu tradies) that the government needs for the Christchurch rebuild, but Ngai Tahu knows better than any how to put its economic leverage to work. Ngai Tahu also secured the hosting rights to the next Te Matatini Festival. It might seem insignificant, but Te Matatini is Maori Society’s equivalent to the Rugby World Cup. On July 3 Waikato-Tainui announced its annual result at The Base – the iwi’s $99m mall at Te Rapa. Waikato-Tainui is on track to become the most important component of the Waikato economy. Ngai Tahu tends to go it alone. Waikato-Tainui hasn’t. In the last decade Waikato-Tainui has developed strategic partnerships with Accor Hotels, Auckland International Airport and several other companies. Those partnerships allowed Waikato-Tainui to build the Novotel Hamilton and the Novotel Auckland Airport. Partnerships are crucial to iwi development. Waikato-Tainui appears to recognise this better than most. Iwi can’t raise capital through share or bond offers. It’s also iwi policy to maintain a debt ceiling of 30% and retained earnings (the money that is retained by Tainui Group Holdings rather than distributed) are not as high as you'd immediately expect. That makes joint ventures crucial to financing iwi investments like the inland port at Ruakura. [Waikato-Tainui will] develop a massive commercial inland freight hub… 6000 to 12,000 jobs will be created, more than 2000 houses will be built and the Waikato area's GDP will increase by $4.4 billion. $3.5b appears to be a cost that Waikato-Tainui’s balance sheet can’t bear. Ngai Tahu appears to be in a (comparatively speaking) more sustainable position. But I hope to be humiliated in 10 years’ time when the development is finished and it’s proven that Mike Pohio was right to say “don’t bet againt our ambition”. Forget the economy for now. Ngati Porou is powerful for different reasons – cultural and political reasons. 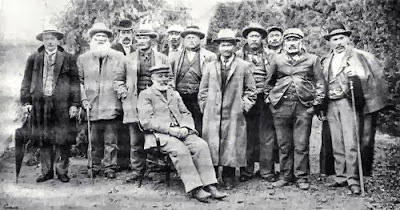 Some of Maori society’s best are and were Ngati Porou. Best thinkers (Moana Jackson); best writers (Witi Ihimeara); best composers (Derek Lardelli); best speakers (Kāterina Mataira) and best politicians (Apirana Ngata). Ngati Porou have had and still have a disproportionate sway over Maori society. When the Foreshore and Seabed Act 2004 was passed Ngati Porou managed to negotiate a "comprehensive package of rights and protections" (with the help of two of their sons in Cabinet – Parekura Horomia and John Tamihere). No other iwi did so. In fact, it might not have crossed their minds. Ngati Porou can tap its talent in government to achieve the outcomes it needs. A rare thing. In the current government the highest ranked Maori minister is from Ngati Porou. 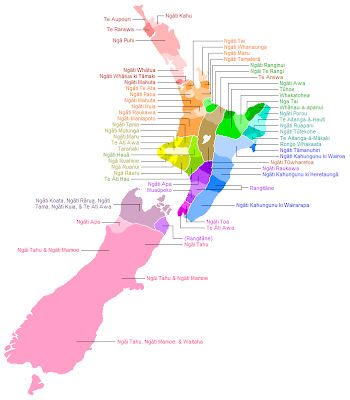 122,000 Maori, or around one in five, identify as Nga Puhi. Nga Puhi is power in numbers. For much of the 19th century the North was the home of British power. Nga Puhi hosted the first Christian Mission, Kororareka became the first European settlement and the Bay of Islands had become one of the most important ports in the country. Shrewd Nga Puhi leaders took advantage of that. But power has shifted south to Auckland and Wellington, but Nga Puhi retains a pull on Maori society and the national consciousness. Enter Waitangi Day. 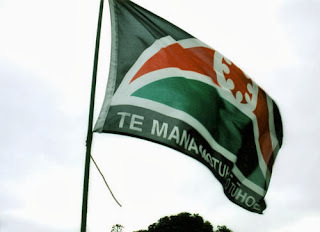 Arguably, Nga Puhi has the power to determine the mood of the nation on our founding day. Will it be protest and a mood of indignation or peace and a mood of reconciliation? Nga Puhi has pedigree in the Maori renaissance too. Many of its former leaders and leading lights – for example Hone Tuwhare – and current leaders – Hone Harawira – are Nga Puhi. Nga Puhi is pervasive and through weight in numbers it manages to influence Maori society iwi more than most other iwi. Geothermal power is New Zealand’s most reliable renewable energy source and Ngati Tuwharetoa controls most of New Zealand’s geothermal fields. (For clarity, Ngati Tuwharetoa doesn’t control the geothermal energy itself - there are various statutes which deal with that – but they own the land where many bores are located). Ngati Tuwharetoa also plays an important role in the Kingitanga. Iwikau Te Heuheu, the paramount chief of Ngati Tuwharetoa at the time, was approached to take the Kingship. He declined. In theory, the Kingitanga could pass to Ngati Tuwharetoa. After all, the Te Heu Heu whanau still play an important role in Ngati Tuwharetoa, the Kingitanga and Maori society. The iwi is also making inroads with tourism ventures in Taupo and they’ve engaged former Deputy Prime Minister Michael Cullen as a Treaty negotiator. Shrewd. Having already settled in the Treelords settlement and the Sealords settlement, Ngati Tuwharetoa is poised to become one of Maori society’s most powerful iwi. They sit on strategic resources and they're set for a significant cash injection. I wouldn't bet against them. If Waikato-Tainui call pull off their inland port at Ruakura they'll dominate the rankings for years to come. Ruakura will be a strategic resource. It's going to be at the mid-way point between Auckland and the Port of Tauranga (New Zealand's largest freight port), located on the Waikato Expressway, built on the East Coast Main Trunk Railway and close to Hamilton (which for some reason is one of New Zealand's fastest growing cities). Ngai Tahu will remain solid. They're in a sustainable position and the Christchurch rebuild has presented incredible opportunities for iwi development (both financial development and development for whanau through job creation, papakainga housing and so on). The most interesting movement will be among iwi like Te Arawa, Tuhoe and Ngati Whatua o Orakei. Tuhoe are soon to settle for $170m and are in an incredible position on self government issues. In that respect, Tuhoe will be a template for other iwi. Ngati Whatua o Orakei is in an interesting position too. Auckland is growing rapidly and Ngati Whatua o Orakei are asserting themselves as a central part in that development. Watch this space. Is Tuhoe Mana Motuhake the next step? Defining iwi - Iwi is a modern concept. For the most part, Maori society organised itself along hapu lines. But for ease of reference I’ve used iwi in its ordinary sense. But the term becomes problematic: for example Waikato-Tainui is a confederation. It’s made up of various iwi and those iwi are made up of various hapu. Iwi is the overlay. For the purposes of this post, iwi is used as synonymous with the settlement body (i.e. “the large natural grouping”). This isn't a wholly serious exercise: don't get carried away with this or gutted with the analysis. This isn't a definitive list. It's more of a discussion. Feel free to add your opinions in the comments section. Disclaimer: I primarily identify with Ngati Awa and they didn't make it - there's no bias here. Is it past time to abolish the Maori Council? The Maori Community Development Act 1962 is up for review. Although Mana points out that the timing is suspicious, the Act remains more or less the same – 51 years later. The review is seeking feedback on the future of the Maori Council and options for improving the Maori Wardens and Community Officers. I’m stuck on it. Maori society is becoming increasingly iwi-centric. Power is shifting from pan-Maori organisations to iwi. Movements and organisations like the Kingitanga, the Maori Women’s Welfare League and the Maori Council can’t compete culturally, economically or politically. Iwi are pushing the Maori Council out. But here’s the qualification: urban Maori. They’re the forgotten tribe. Iwi aren’t a catch-all. Pan-Maori organisations –think of service providers like the Waipereira Trust, the Church and the Welfare League – catch urban Maori. The Maori Council does too. If the Council is abolished urban Maori are deprived of one the few advocates that they have. That's a reason to keep the Maori Council. But it must be reformed. It’s a labyrinth: there are Maori Committees, Maori Executive Committees, District Maori Councils and the New Zealand Maori Council. The structure needs to be simplified. Abolishing the regional bodies and maintaining the national body could be an option. The regional bodies are cumbersome. The national body could draw its membership from regional groups - like iwi runanga and urban authorities like the Manukau Urban Maori Authority - rather than regional council's and committees. There's a perception (and maybe a reality) that the Council isn't accountable. Layers of bureaucracy contributes to that perception. It's 2013 too. The Act's focus on social and economic wellbeing is underinclusive. The Council's focus should be expanded to include the environment and conservation. People, markets and the environment is preferable to people and markets only. to the 1962 Act. Eagle eyed readers will spot Apirana Ngata in the centre. The New Zealand Maori Council has achieved a number of gains for Maori including the adoption of the principles of the Treaty of Waitangi in the State Owned Enterprises Act 1986, the reform of Maori land resulting in Te Ture Whenua Maori Act 1993, the 1989 Maori Fisheries Act and the 1992 Sealord’s Act. The review of the Maori Community Development Act 1962 should be seen as another opportunity for Maori. Reasonable people can and will disagree with that. The Maori Council didn't work in isolation. But we might be a decade behind but for the Maori Council's work. Still, that's no reason to oppose reform. The Maori Council needs it and now. It's 2013. If they stay the same, they'll be left behind.